We’ve learned people skills- communication, listening and especially how to make a good cup of coffee. You’ve got to muck in. We have good conversation and we’re working as a team. I’m apparently a live wire. We make conversation together- about home and business, a little bit of everything. About our volunteering and training. We talk about homelessness. It’s nice to get out in the community more, I used to stay in the house but now we’re broadening our horizons and doing things. 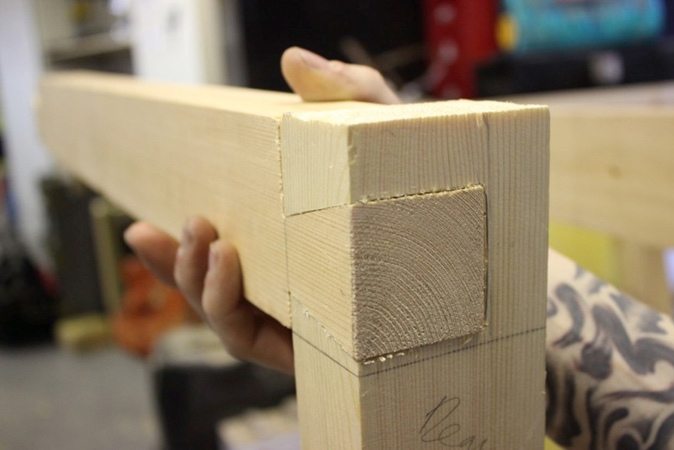 We’ve learned different names for joints like the dovetail half lap, the mortice and tenon joint and the bridal joint and we’ve learned how to make them. I’m quite pleased that I can do some of these quite quick. It took a while when I first started. 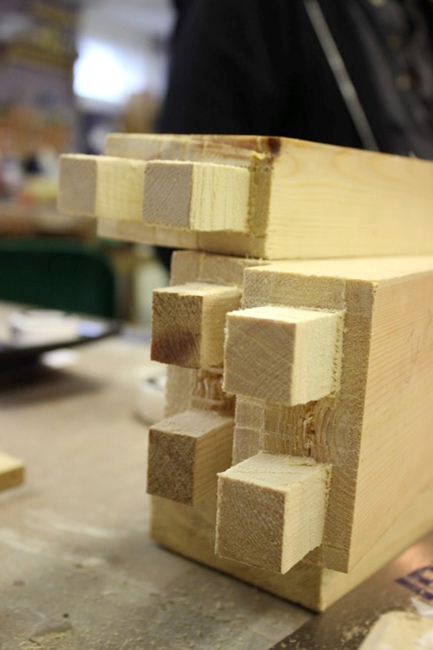 We’ve learned different skills like using a tenon saw, mallet and chisel, different drill bits and how to use them safely. I’d like to make my own bed. I’ve got all the wood bits in the shed and I’d like to do something with them. I’d like to make a nice magazine rack because I’ve got loads of magazines and letters that are sitting in a drawer and I’ve been after a magazine rack for a while. Just an achievement- rather than buying it, I’d like to be able to point to it across the room and say “I made that”. I’d like to make a magazine rack for Protohome and one for me. I’m more practical and hands on rather than using computers which is something I’ve learned about myself.